Frederick Sanger (1918 - 2013) là nhà hóa học người Anh. Ông là người đầu tiên giành Giải Nobel Hóa học tới 2 lần và đang là người duy nhất có thành tích này. Lần đầu tiên là vào năm 1958, ông giành giải này một mình. Lần thứ hai là vào năm 1980, ông chung giải thưởng với hai nhà hóa học người Mỹ đó là Paul Berg và Walter Gilbert. Năm 1958 ông giành giải nhờ những nghiên cứu làm sáng tỏ cấu trúc của protein, đặc biệt là insulin. Năm 1980, ông đoạt giải là vì có những đóng góp liên quan đến chuỗi axít nucleic. Năm 1975, Frederick Sanger đã phát minh ra phương pháp giải trình tự của ADN bằng enzyme. Phương pháp này được gọi là phương pháp Dideoxy. Đây là phương pháp giúp các nhà khoa học có thể đọc trình tự nucleotide trên một phân tử ADN. Ngày nay rất nhiều máy giải trình tự gene đều dựa trên nguyên tắc chính của phướng pháp nói trên. ^ “Giải Nobel Hóa học năm 1958”. Nobelprize.org. Truy cập ngày 6 tháng 10 năm 2008. ^ “Giải Nobel Hóa học năm 1980”. Nobelprize.org. Truy cập ngày 6 tháng 10 năm 2008. Neuberger, A.; Sanger, F. (1942), “The nitrogen of the potato”, Biochemical Journal 36 (7-9): 662–671, PMC 1266851, PMID 16747571 . Neuberger, A.; Sanger, F. (1944), “The metabolism of lysine”, Biochemical Journal 38 (1): 119–125, PMC 1258037, PMID 16747737 . Sanger, F. (1945), “The free amino groups of insulin”, Biochemical Journal 39 (5): 507–515, PMC 1258275, PMID 16747948 . Sanger, F. (1947), “Oxidation of insulin by performic acid”, Nature 160 (4061): 295, PMID 20344639, doi:10.1038/160295b0 . Porter, R.R. ; Sanger, F. (1948), “The free amino groups of haemoglobins”, Biochemical Journal 42 (2): 287–294, PMC 1258669, PMID 16748281 . Sanger, F. (16 tháng 4 năm 2019), “Fractionation of oxidized insulin”, Biochemical Journal 44 (1): 126–128, PMC 1274818, PMID 16748471 . Sanger, F. (16 tháng 4 năm 2019), “The terminal peptides of insulin”, Biochemical Journal 45 (5): 563–574, PMC 1275055, PMID 15396627 . Sanger, F.; Tuppy, H. (16 tháng 4 năm 2019), “The amino-acid sequence in the phenylalanyl chain of insulin. 1. The identification of lower peptides from partial hydrolysates”, Biochemical Journal 49 (4): 463–481, PMC 1197535, PMID 14886310 . Sanger, F.; Tuppy, H. (16 tháng 4 năm 2019), “The amino-acid sequence in the phenylalanyl chain of insulin. 2. The investigation of peptides from enzymic hydrolysates”, Biochemical Journal 49 (4): 481–490, PMC 1197536, PMID 14886311 . Sanger, F.; Thompson, E.O.P. (16 tháng 4 năm 2019), “The amino-acid sequence in the glycyl chain of insulin. 1. The identification of lower peptides from partial hydrolysates”, Biochemical Journal 53 (3): 353–366, PMC 1198157, PMID 13032078 . Sanger, F.; Thompson, E.O.P. (16 tháng 4 năm 2019), “The amino-acid sequence in the glycyl chain of insulin. 2. The investigation of peptides from enzymic hydrolysates”, Biochemical Journal 53 (3): 366–374, PMC 1198158, PMID 13032079 . Sanger, F.; Thompson, E.O.p. ; Kitai, R. (1955), “The amide groups of insulin”, Biochemical Journal 59 (3): 509–518, PMC 1216278, PMID 14363129 . Ryle, A.P. ; Sanger, F.; Smith, L.F.; Kitai, R. (1955), “The disulphide bonds of insulin”, Biochemical Journal 60 (4): 541–556, PMC 1216151, PMID 13249947 . Brown, H.; Sanger, F.; Kitai, R. (1955), “The structure of pig and sheep insulins”, Biochemical Journal 60 (4): 556–565, PMC 1216152, PMID 13249948 . Sanger, F. (1959), “Chemistry of Insulin: determination of the structure of insulin opens the way to greater understanding of life processes”, Science 129 (3359): 1340–1344, Bibcode:1959Sci...129.1340G, PMID 13658959, doi:10.1126/science.129.3359.1340 . Milstein, C.; Sanger, F. (1961), “An amino acid sequence in the active centre of phosphoglucomutase”, Biochemical Journal 79 (3): 456–469, PMC 1205670, PMID 13771000 . Marcker, K.; Sanger, F. (1964), “N-formyl-methionyl-S-RNA”, Journal of Molecular Biology 8 (6): 835–840, PMID 14187409, doi:10.1016/S0022-2836(64)80164-9 . Sanger, F.; Brownlee, G.G. ; Barrell, B.G. (1965), “A two-dimensional fractionation procedure for radioactive nucleotides”, Journal of Molecular Biology 13 (2): 373–398, PMID 5325727, doi:10.1016/S0022-2836(65)80104-8 . Brownlee, G.G. ; Sanger, F.; Barrell, B.G. (1967), “Nucleotide sequence of 5S-ribosomal RNA from Escherichia coli”, Nature 215 (5102): 735–736, Bibcode:1967Natur.215..735B, PMID 4862513, doi:10.1038/215735a0 . Brownlee, G.G. ; Sanger, F. (1967), “Nucleotide sequences from the low molecular weight ribosomal RNA of Escherichia coli”, Journal of Molecular Biology 23 (3): 337–353, PMID 4291728, doi:10.1016/S0022-2836(67)80109-8 . Brownlee, G.G. ; Sanger, F.; Barrell, B.G. (1968), “The sequence of 5S ribosomal ribonucleic acid”, Journal of Molecular Biology 34 (3): 379–412, PMID 4938553, doi:10.1016/0022-2836(68)90168-X . Adams, J.M. ; Jeppesen, P.G. ; Sanger, F.; Barrell, B.G. (1969), “Nucleotide sequence from the coat protein cistron of R17 bacteriophage RNA”, Nature 223 (5210): 1009–1014, Bibcode:1969Natur.223.1009A, PMID 5811898, doi:10.1038/2231009a0 . Barrell, B.G. ; Sanger, F. (1969), “The sequence of phenylalanine tRNA from E. coli”, FEBS Letters 3 (4): 275–278, PMID 11947028, doi:10.1016/0014-5793(69)80157-2 . Jeppesen, P.G. ; Barrell, B.G. ; Sanger, F.; Coulson, A.R. (1972), “Nucleotide sequences of two fragments from the coat-protein cistron of bacteriophage R17 ribonucleic acid”, Biochemical Journal 128 (5): 993–1006, PMC 1173988, PMID 4566195 . Sanger, F.; Donelson, J.E. ; Coulson, A.R. ; Kössel, H.; Fischer, D. (1973), “Use of DNA Polymerase I Primed by a Synthetic Oligonucleotide to Determine a Nucleotide Sequence in Phage f1 DNA”, Proceedings of the National Academy of Sciences USA 70 (4): 1209–1213, Bibcode:1973PNAS...70.1209S, PMC 433459, PMID 4577794, doi:10.1073/pnas.70.4.1209 . Sanger, F.; Coulson, A.R. (1975), “A rapid method for determining sequences in DNA by primed synthesis with DNA polymerase”, Journal of Molecular Biology 94 (3): 441–448, PMID 1100841, doi:10.1016/0022-2836(75)90213-2 . Sanger, F.; Nicklen, S.; Coulson, A.R. (1977), “DNA sequencing with chain-terminating inhibitors”, Proceedings of the National Academy of Sciences USA 74 (12): 5463–5467, Bibcode:1977PNAS...74.5463S, PMC 431765, PMID 271968, doi:10.1073/pnas.74.12.5463 . According to the Institute for Scientific Information (ISI) database, by October 2010 this paper had been cited over 64,000 times. Sanger, F.; Air, G.M. ; Barrell, B.G. ; Brown, N.L. ; Coulson, A.R. ; Fiddes, C.A. ; Hutchinson, C.A. ; Slocombe, P.M.; Smith, M. (1977), “Nucleotide sequence of bacteriophage φX174 DNA”, Nature 265 (5596): 687–695, Bibcode:1977Natur.265..687S, PMID 870828, doi:10.1038/265687a0 . Sanger, F.; Coulson, A.R. (1978), “The use of thin acrylamide gels for DNA sequencing”, FEBS Letters 87 (1): 107–110, PMID 631324, doi:10.1016/0014-5793(78)80145-8 . Sanger, F.; Coulson, A.R. ; Barrell, B.G. ; Smith, A.J. ; Roe, B.A. (1980), “Cloning in single-stranded bacteriophage as an aid to rapid DNA sequencing”, Journal of Molecular Biology 143 (2): 161–178, PMID 6260957, doi:10.1016/0022-2836(80)90196-5 . Anderson, S.; Bankier, A.T.; Barrell, B.G. ; De Bruijn, M.H. ; Coulson, A.R. ; Drouin, J.; Eperon, I.C. ; Nierlich, D.P. ; Roe, B.A. (1981), “Sequence and organization of the human mitochondrial genome”, Nature 290 (5806): 457–465, Bibcode:1981Natur.290..457A, PMID 7219534, doi:10.1038/290457a0 . Anderson, S.; De Bruijn, M.H. ; Coulson, A.R. ; Eperon, I.C. ; Sanger, F.; Young, I.G. (1982), “Complete sequence of bovine mitochondrial DNA. Conserved features of the mammalian mitochondrial genome”, Journal of Molecular Biology 156 (4): 683–717, PMID 7120390, doi:10.1016/0022-2836(82)90137-1 . Sanger, F.; Coulson, A.R. ; Hong, G.F.; Hill, D.F. ; Petersen, G.B. (1982), “Nucleotide sequence of bacteriophage λ DNA”, Journal of Molecular Biology 162 (4): 729–773, PMID 6221115, doi:10.1016/0022-2836(82)90546-0 . Sanger, F. (1988), “Sequences, sequences, and sequences”, Annual Review of Biochemistry 57: 1–28, PMID 2460023, doi:10.1146/annurev.bi.57.070188.000245 . Sanger, F.; Dowding, M. (1996), Selected Papers of Frederick Sanger: with commentaries, Singapore: World Scientific, ISBN 981-02-2430-3 . 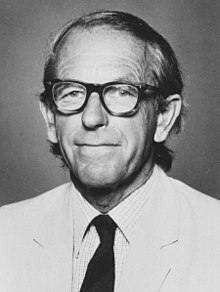 Interviews with Nobel Prize winning scientists: Dr Frederick Sanger, British Broadcasting Corporation, Tháng 4 năm 1985 . Interviewed by Lewis Wolpert. Duration 1 hour. Trang này được sửa đổi lần cuối vào ngày 7 tháng 11 năm 2018 lúc 15:56.